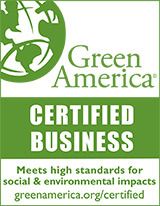 Good Night Naturals is proud to offer innovative imported natural organic luxury bedding from many fine manufacturers including: SDH/YGLE Enterprises, Legna, The Purists, Area - Home, Coyuchi, HomeSource, Peacock Alley, Haven Organic Bedding. Choose Organic Cotton Sheets, Sheets of 100% Egyptian Cotton, Lyocell wood based fibers, bamboo and natural linen, the choices are endless. 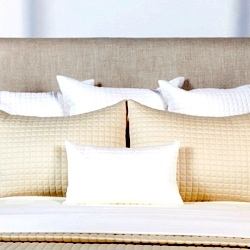 Speaking of thread count, one question we are asked is: "Does high thread count indicate a superior linen?" The answer is Yes and No! 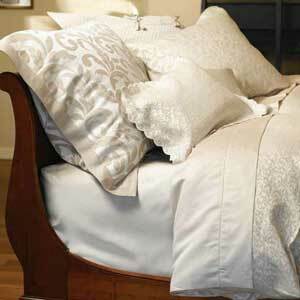 Several major factors affect the quality of linens, and one of those factors is thread count. 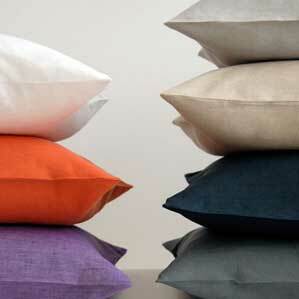 However, there are other important manufacturing steps that affect the quality of fine linens. Perhaps the most important factor is the quality of the cotton fiber. Long staple, high quality (Egyptian) cotton combined with a high quality spinning process will produce yarn that is soft, strong, and ready to be woven into sheeting. 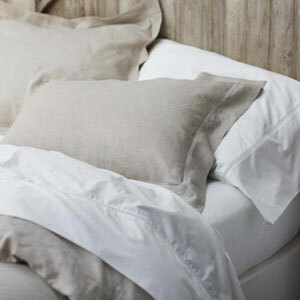 Sheets of Egyptian cotton are considered among the highest quality luxury linens. However, high quality cotton yarn is just the start, the complicated process of fabric "finishing" is another very important step that determines a linens final appearance: texture, color and softness. Superb finishing is a highly regarded and guarded secret performed under secrecy. Very fine finishing is performed in processing plants located in Italy and Switzerland. So there is something to be said about the quality of Italian luxury linens; something we understand and search out at Good Night Naturals! Besides expert "finishing", other unique processes are performed in order to insure exceptional quality and unique styles, such as in the production of sateens. Manufacturing sateen sheets relies on a process called "calendering", whereby the sheeting passes through a series of heated rollers under intense pressure. The final product is smooth and shiny, yet possesses an incredibly soft texture and surface. So yes, high thread count is important, but without all of the ingredients including superb "finishing," you could end up with a high-thread count sheet that is rough to the hand and starts to pill after several washings. 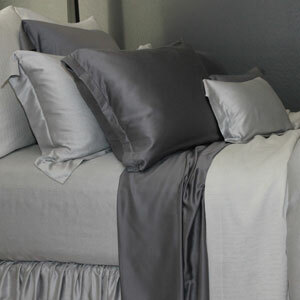 Feel free to browse through all of our linens and call with any questions. Supremo 100% Organic Cotton Sheet Collection. 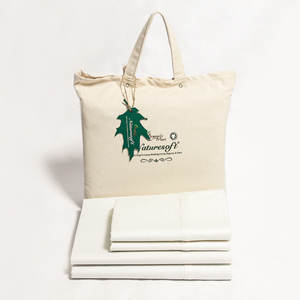 Organic cotton bedding and linens from Good Night Naturals, an online resource for organic and Egyptian cotton sheets.